HTC has significantly restructured and reduced its product range in recent months. But it's not just the U-series. The popular Desire smartphones are also being revitalized. HTC has just presented two new additions to the family, the HTC Desire 12 and Desire 12+. HTC U11+ review: the best phone of 2017? 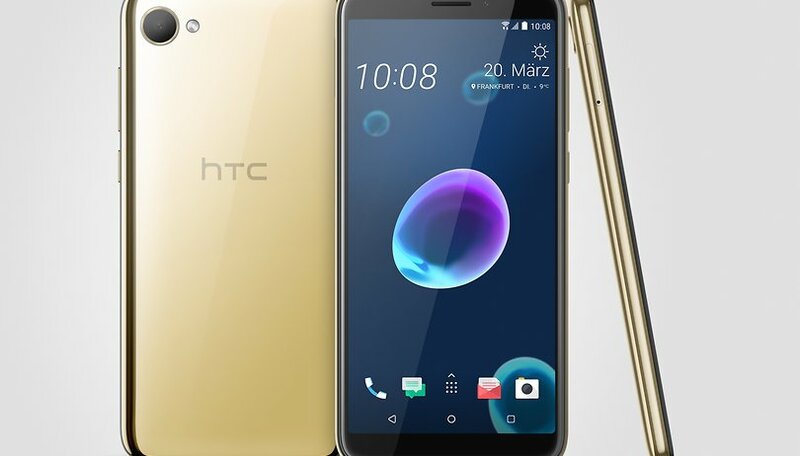 Even if there is no "U" in the name, the design of the HTC Desire 12 and Desire 12+ is clearly inspired by the manufacturer's other current smartphones. The liquid design with flowing shapes and chic color reflections is also finding its way into the cheaper price regions. HTC is offering the new Desire smartphones in black, silver and gold. The displays of the two Desire 12 smartphones are 5.5" and 6" in size and come in a 18:9 format. This is all following recent trends, but not with the resolution. Both smartphones display only 1,440 x 720 pixels. Full HD is now also standard in the lower price range. The second raised eyebrow comes when you discover the Desire 12's software: the small model is still on the market with Android 7 Nougat—a system that is one and a half years old. The larger Desire 12+ runs Android 8 Oreo. The reason for this is probably the processors, because the Desire 12 has a chip from Mediatek—the T6739—on board, while the Desire 12+ carries a Qualcomm Snapdragon 450. The memory configuration is internally identical with 3 GB RAM and 32 GB storage. The HTC Desire 12+ has a slightly higher resolution front camera with 8 megapixels, the rear cameras of both smartphones have a resolution of 13.1 megapixels. The batteries are not particularly strong at 2,965 mAh and 2,730 mAh. The color variants Cool Black and Warm Silver of both Desire smartphones will be available in April and May; Royal Gold will be added for both devices in the third quarter. Right now, we only know the European prices for these new smartphones. The HTC Desire 12 costs 199 Euros (around $245) and the Desire 12+ costs 249 Euros (around $305). All details of both devices can be seen in the following table. Are you burning with desire for these attractive mid-range devices from HTC? If not, what's turning you off? I am beginning to believe HTC doesn't know which way is up or down. Plus the fact they own 10 losing quarters!